With a vision of winning an Olympic medal for India in Table Tennis by 2024, the UTT league was launched in 2017 to inspire the youth and drive the development at grassroots level. It was quite re-assuring to witness the inaugural edition of India’s first ever professional table tennis league in association with TTFI, be well received by the table tennis fraternity both nationally as well as internationally. 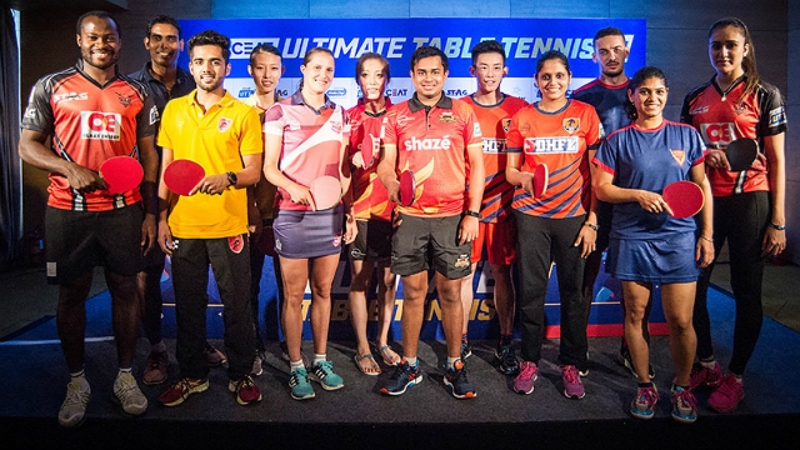 It’s success in 2017 has paved way for the CEAT Ultimate Table Tennis season 2. This time with a promise of delivering 18 days of trailblazing Table Tennis across Pune, Delhi and Kolkata starting June 14, 2018. The second season aims at taking the sport to greater heights and newer audiences. Six franchises will battle it out for the CEAT Ultimate Table Tennis trophy, with Falcons TTC coming in as the defending champions. Each franchise will comprise a combination of overseas and Indian players — four men and four women. In an exciting format that tests the teams’ ability to quickly think and fine-tune their strategies on their feet, the six franchises picked one foreign and one Indian coach each. They’ve each carefully chosen their coaches who’ve all coached world class teams and individual champions. What makes it more interesting is the fact that as many as 11 out of 12 coaches have returned for the second edition of the UTT. It clearly indicates how the UTT has made an impact on the world stage. The league proves to be a huge boon for Indian players, given the opportunity of competing against some of the best players in the world and learning from some world-class coaches. With the Star Network being an official league broadcaster and the support extended by the Table Tennis Federation Of India, along with some promising sponsors, the second edition of the league is on its way of becoming BIGGER & BETTER.